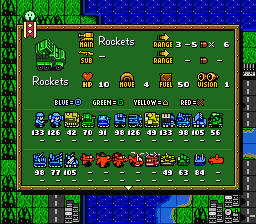 Short Description: Play Super Famicom Wars in English! to the beloved tactics game Advance Wars is finally playable in English. as part of the Virtual Console library – again, exclusively in Japan. made available in Japan, and as part of a compilation. been heard about the series’ future from either Nintendo or Intelligent Systems. military strategy is uniquely charming and accessible. available to the English speaking world for the first time in almost ten years. stand out as a great game in its own right. playtesting. Some, but not all, of these things have also been translated. SNES Classic Mini retro console. for Windows and “MultiPatch” for macOS. translation and fits the tight on-screen space restrictions nicely. distinguishable, non-abbreviated name for every unit. Attacker, again for distinctiveness and to avoid abbreviations. touches to keep the language more “in-universe”. is fully localized. We highly recommend any new players to check it out! after the initial game setup. – The “Level Up” gameplay option enables an experience system unique to this game within the series. Highly recommended! – You cannot deploy new units at captured bases. 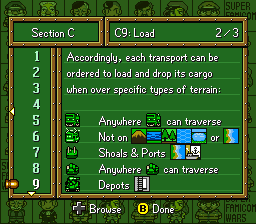 – Transport Units consume their turn when loaded. – Rivers can be traversed by all Naval Units. be performed on Woods and Mountains. that better tools were needed, and the project was put on hold indefinitely. that we had one abandoned project each that might just mesh up perfectly. be applied to some other game soon enough!). the text and localizing a sizable chunk of graphics. of my initial (pretty rough) translation. 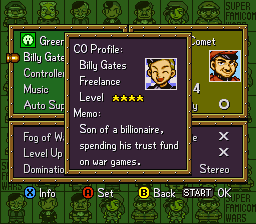 answered “secret project X and an English translation of Super Famicom Wars”. he gave it up – and we even speculated if my tools could be used. any games in the Wars series and I had never heard of this game before! source code of the game lessened the cognitive load of reverse engineering. When things became hard again I and David came up with new ways to simplify. developers had seen. That is the benefit of attacking an obscure game! Then one day David simply understood the game. Reverse engineering was over. part of this project that in the end actually was finished! others that we decided to rebuild it using the Japanese as a starting point. game for an English-speaking audience. piece of gaming history in this small way. unit has the good/bad luck to level up during that battle. for the 20th Anniversary Edition (see below). or inconsistency has flown under our radars. with instructions on how to get to that bug/issue from the point of the save. 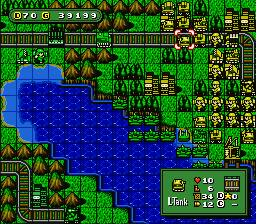 release a “Super Famicom Wars 20th Anniversary Edition” on May 1 2018.
containing all tools and assets required to build and tinker with this game.